Optimum movement requires healthy joints. The right nutrients can have a positive effect on the condition of the cartilage, synovial fluid and the joint capsule and ligaments that keep the joint together. Pavo Mobility contains glucosamine and hyaluronic acid that are components for healthy synovial fluid. Chondroitin and MSM (sulphur) have a positive effect on the cartilage. On the cartilage yet these substances alone are not enough to support healthy joints in horses. 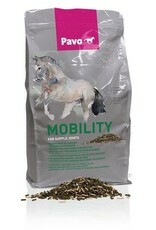 The most important component is the special collagen in Pavo Mobility that supports the collagen, bone and cartilage. Pavo Mobility also contains vitamin C and the micro-mineral silicon that plays a role in the development of bone tissue, cartilage, collagen and hyaluronic acid. Pavo Mobility does not contain wheat, so it is gluten-free. 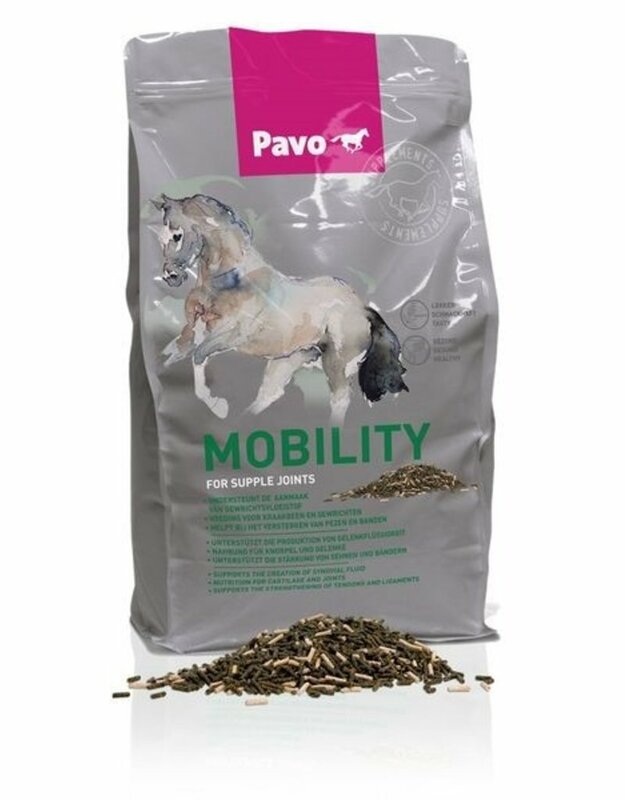 Pavo Mobility is available in a convenient 3 kg bucket.